Pet supplies from Vet Meds for Pets include a huge range of brand name health preventative medications for dogs, cats, puppies & kittens. We have great prices and FREE shipping on all orders over $130.00AU. Shipping of $6.95AU for orders under $130AU.00. Order today from one of your most trusted online pet health care stores!. Our friendly customer service staff are always ready to help you. All currencies can be viewed by selecting that option in the top left corner of the website. For all inquiries please email us at sales@vetmedsforpets.com for answers to all your questions. All meds are purchased from Vets and are 100% genuine and guaranteed! Shipping worldwide. 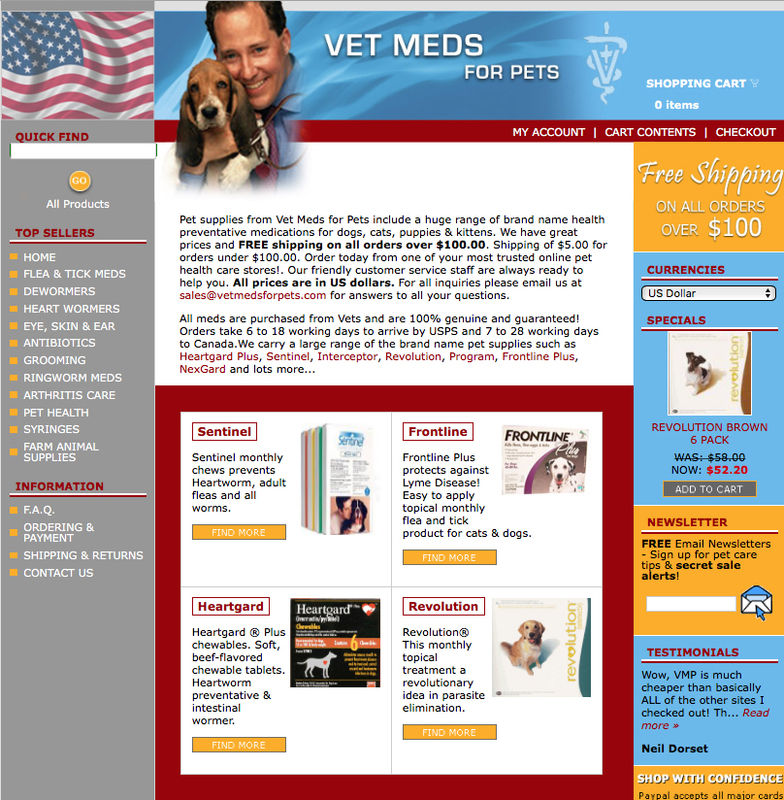 We can be contacted via email sales@vetmedsforpets.com. We have recently updated our website to make it easier to use and with updated products and information. You will need to re register a new account when placing orders for the first time on this new platform. Below is an image of the old site and we hope you find the new one easier to navigate your pet care needs.